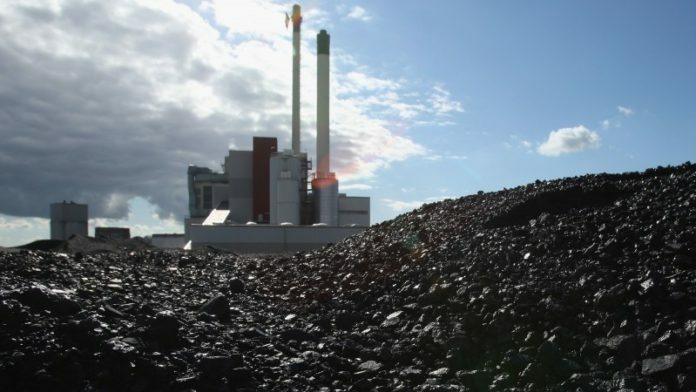 AFRICAN Exploration & Mining Finance Company (AEMFC), a company owned by the South African government, said on Tuesday evening it had been awarded an option to bid for Optimum Coal Mines after business rescue practitioners (BRPs) accepted the firm’s post-commencement funding (PCF) of some R1bn. This means AEMFC, which is housed in the government’s Central Energy Fund (CEF), will proceed to a management contract negotiation with the BRPs for Optimum Coal Mines. The final ownership of Optimum will be subject to a competitive bidding process, however. AEMFC said it was joined in its PCF offer by Lurco Group, a well-known and respected coal mining company which in 2015 bought the Inyanda Colliery from Exxaro Resources in joint venture with Burgh Group. This year, Lurco emerged as the successful bidder for a 50% stake in Sechaba, a coal prospect in Botswana owned by Shumba Coal. AEMFC said a priority destination for the PCF was worker salaries which have been unpaid since October, according to reports, as well as suppliers and creditors. It also suggested that ownership of the mines held in Optimum Coal Mines would be shared among workers and communities surrounding the mines. Interestingly, Ellington Nxumalo, CEO and co-founder of Lurco, said in a statement that the consortium’s funding was “… not contingent on an international trader but rather has been raised by the members themselves, with assistance from private capital”. Two other bidders for Optimum Coal Mines – Phakamani consortium and Project Halo – have the support of Trafigura and, allegedly, Macquarie Bank (Australia). Whilst the injection of R1bn and the negotiation of a management contract between the BRPs and the AEMFC consortium seems like good news for the stability of Optimum Coal Mines, the process is far from a smooth one going forward. There is a dispute among Optimum Coal Mines creditors – led by a company called Centaur – which does not want Eskom to have a vote on the outcome of the rival bids. The matter is heading for the courts. Said a spokesperson for AEMFC in response to Miningmx questions: “Whilst these [Eskom related] proceedings are in place, an asset sale transaction cannot legally take place. However … the consortium has offered a PCF solution and has expressed an interest to purchase the asset as soon as these legal issues are resolved”. “In essence the AEMFC consortium, in necessary consultation with the BRP’s, will manage the mine, related to its operations from a technical and working capital deployment perspective to manage the and control the outputs of the mine,” the spokesperson said. Sizwe Madondo, CEO of AEMFC, said he was “delighted” to have been awarded the PCF deal. “Through our consortium team of reputable and experienced sector experts, we are confident we can deliver the sustainable Optimum Coal South Africa both deserves and needs,” he said. Bouwer Van Niekerk, an attorney for the BRPs, said AEMFC consortium’s PCF had won the day because it had demonstrated its ability to manage and operate the mine “.. and bring it back to optimal production”. The bidding process has been “robust and rigorous”, he said. This is exactly the problem with the ANC government (and frankly all African governments)… They do not and will not recognize that there is a difference between STATE and GOVERNMENT. This is (or rather SHOULD be) a STATE owned mining company, NOT a GOVERNMENT owned mining company, It is funded with taxpayer money and belong to ALL South Africans equally. But like all state owned assets, it will be gobbled up by the ANC. ONLY ANC members, officials and their friends and family will be appointed and only they will make money from this. In this country only ANC members who are willing to steal and share (aren’t they all corrupt) are appointed into positions of power in these STATE owned enterprises. Hi – Falls under Optimum Coal Mines along with the RBCT export entitlement. Then my question is why didn’t they buy Koornfontein with Optimum? If Koornfontein falls under Optimum? Strangely, the AEMFC has, at least by some accounts, been quite well managed. It has received clean audits and was cut out from Eskom’s inner circle of corrupt deals. Banks are prepared to deal with it. I wish them the best of luck – they are going to come under enormous pressure from unions and the ANC inner circle corrupt crony capitalists. Lets get this sorted out quickly, before we have a repeat of Aurora…. What about Koornfontein mine? Also part of the Optimum coal mine? The people starving and lost almost everything, because of nou salaries from October 2018. The people of Optimum coal will receive the salaries and go back to work. But everybody forgets when Optimum was in trouble about two years ago, KOORNFONTEIN MINE supplied them with spares ect to keep them going!!!! Now everybody is looking the other way!!! The workers of Koornfontein mine still helping to get those illegal people out trapped underground, still going out on callouts.. Even though they didnt received salaries for almost four months.. They are still loyal to Koornfontein mine not even knowing if they ever will be paid!!! !